Even the most attractive windows and coverings aren’t worth your investment in them if they don’t keep out the summer’s scorching air or let in icy drafts. If you could view a computer-generated graphic of your home’s windows in mid-winter you may well be in for a shock, as you can see the heat pouring out the windows as if they were wide open. The U.S. Department of Energy reports that you lose up to an astonishing 30% of your home’s heat this way. It may seem trite but it’s still true: you might as well be throwing bushels of cash out an energy-inefficient home’s windows. Of course that’s not acceptable. That’s why Queens and Nassau County homeowners rely on the options of Creative Window Coverings’ energy-efficient thermal draperies and insulated blinds, shades, and panels, expertly recommended and installed, all for prices that will pleasantly surprise you! 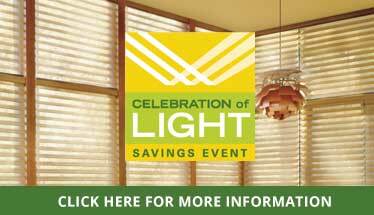 Here is only one example of the energy-efficient window treatments we offer. To maximize R value (how scientists measure resistance to heat flow), a prime example of an efficient and economical insulated window treatment are insulated cellular shades. These cleverly engineered pieces aren’t heavy; they use air trapped in a honeycomb pattern in the shade itself. Their Energy Department statistics speak for themselves: rather than losing 30% of your house’s winter heating, you would be cutting your heat loss by at least 40%! That translates to about 20% savings on your monthly heating bills. It gets even better: in summer, well-fitted insulated cellular shades reduce unwanted heat from the sun by up to an amazing 80%. This combined with strategically opening and closing your window treatments on different sides of the house at different times of day to use or block sunlight will be a relief for your finances plus keep you comfortable year round. For more on how you can economize on your electric and heating bills by installing the right energy-efficient insulated window coverings, contact or stop by our Oceanside, NY showroom to set up a free consultation.